KidZui is an ambitious project, launching tonight, intended not only to make the internet safe for kids (aged 3-12), but to provide a browsing experience that caters to their cognitive powers and surfaces the best juvenile content as well. The concern for children’s safety on the net has been around for years and has usually been addressed with software that attempts to blacklist all the worst parts of the web (and pornographic websites in particular). The fundamental problem with this type of software is that no blacklist can be complete given the rate at which the web grows each day, so holes through which children can access the inappropriate content they’re supposedly protected from are bound to appear. KidZui takes the opposite approach to these traditional solutions. Instead of blacklisting all the “bad” sites, it whitelists only the “good” ones. The application, which is essentially a custom browser built on top of Internet Explorer and Safari technology (depending on the platform), has been in development for three years. During that time, the company has hired around 200 teachers and parents from across the United States to scour the net for appropriate sites and content. So far they’ve whitelisted about 500,000 websites, as well as many videos found on YouTube. Spiders have helped to gather this content, but ultimately all of it was reviewed manually by humans. As a result, KidZui has effectively cordoned off a safe area where parents can let their children roam free. This safe area will grow for KidZui as a whole. Each time a kid clicks on a link to an unapproved site, it will go into a moderation system and either approved or denied within an hour. The area can also grow or shrink for each KidZui user. Parents can decide to whitelist certain sites, such as Facebook, not ordinarily allowed for KidZui users. Or they can blacklist a site, such as Club Penguin, that their kids spend way too much time on it. 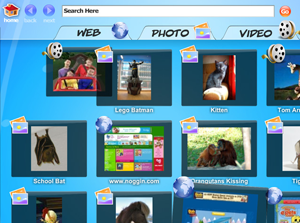 The KidZui browsing experience is very graphical and consists of three primary types of content: websites, photos, and videos. This content has been categorized into over 8,000 categories such as “soccer” and “whales”. Kids can search the site by keyword, and the results are determined by a “kidrank” system that keep track of how popular they are. 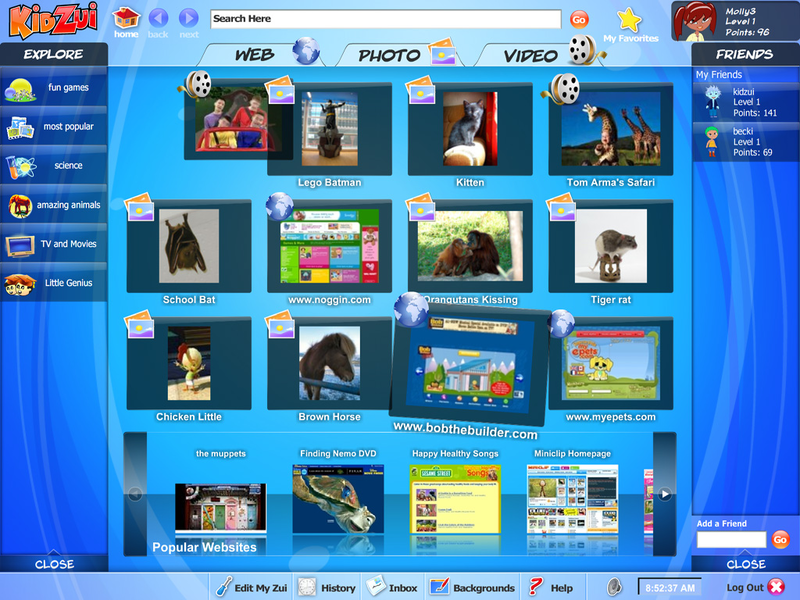 Kids can also use the homepage as a jumping off point for browsing; it displays both popular and most visited websites. 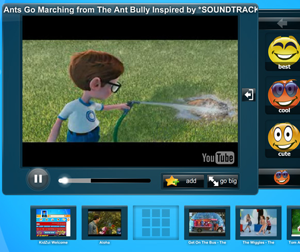 There’s also a social networking facet to Kidzui, but it too has been designed with safety in mind. 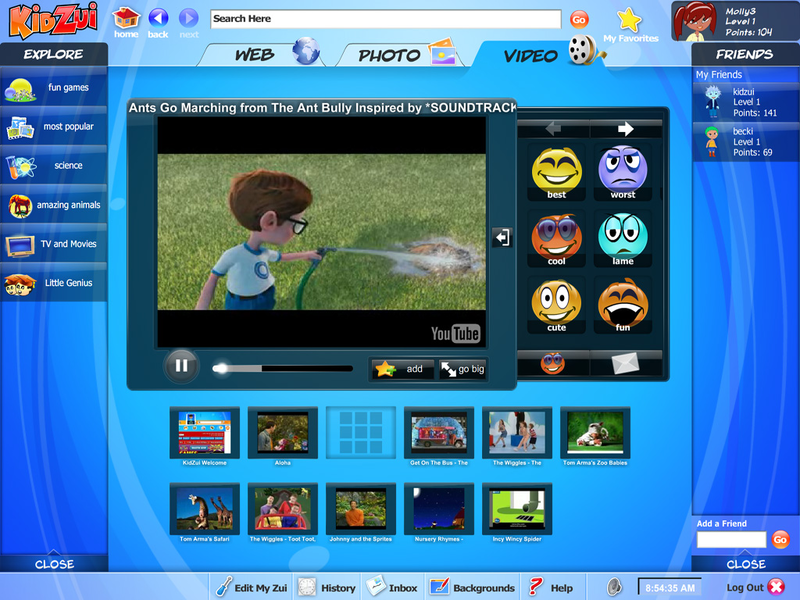 Kids can set up their own avatars (“zuis”) and make friends with other users. But all friends must be approved by parents first, and there’s no messaging between friends; they can only share rated content with each other and view each others’ points (kids garner points as they spend time on the site). Overall, KidZui is the first offering I’ve seen that virtually guarantees kids’ safety and provides them with a portal into the best parts of the web. I have no doubt that parents will be willing to cough up $10 for the monthly subscription fee (or $5/mo, its current promotional rate).